Perfect Portal provide an advanced online Conveyancing Sales and Management system. 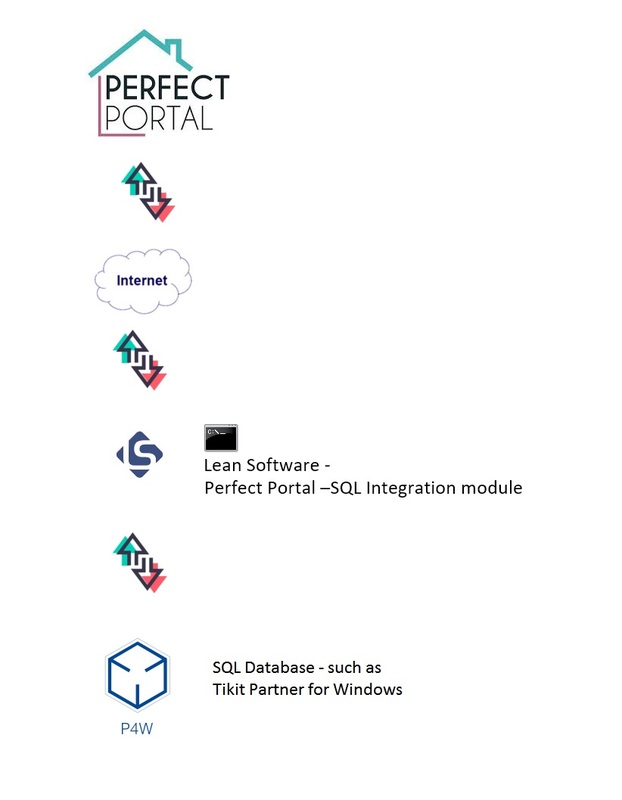 Integrating your existing database system with Perfect Portal involves periodically downloading Case, Contact, Key-Stage and User information held within the Perfect Portal system. You can also synchronize Key Stage information and other details as you may require. The initial base utility is designed for Perfect Portal Version 4, Lean software will release new versions of this integration tool in line with Perfect Portal subsequent new releases. 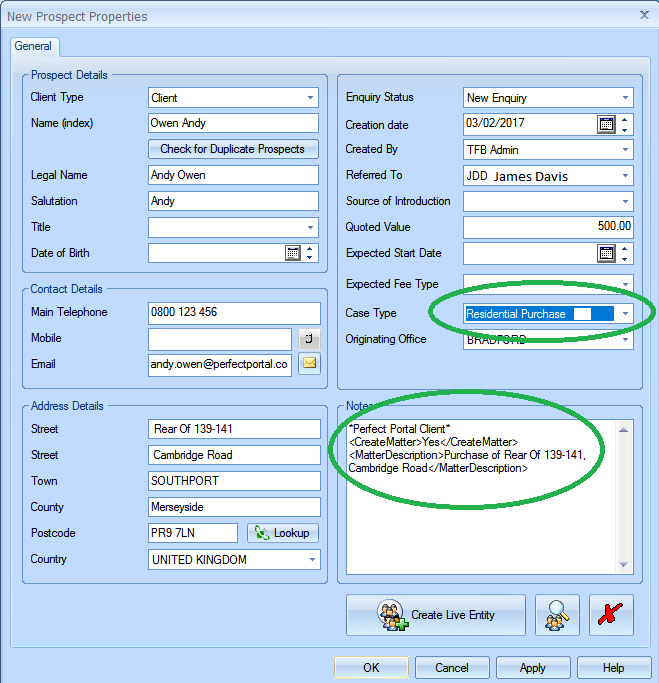 The utility can be used as the basis for example for integration with a Case Management system such as Partner for Windows. This module is a command line utility, designed be scheduled to run from your server, and to download and populate SQL Server tables in an unattended fashion. 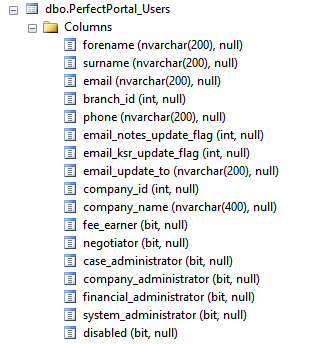 In addition Json text files are also created on the server, should you have use to read these files directly into another non-SQL system. Additionally there is a non-quiet mode that will display the downloaded Json should you wish to see the remote server responses. The Json is saved to text files for you by default. 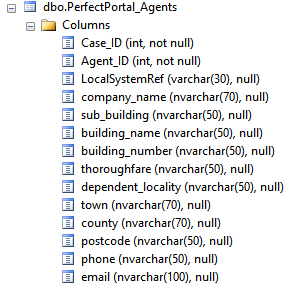 This method simply tests the SQL Server and Perfect Portal connections specified within the INI file. This method downloads all of the KeyStages defined in your Perfect Portal system. This method downloads all of the users defined in your Perfect Portal system. 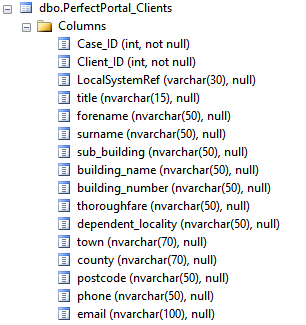 This method downloads (potentially) all of the case information held within your Perfect Portal system. 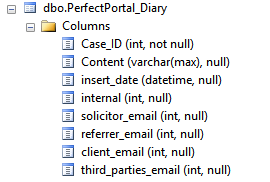 There is an SQL function you can modify should you wish to selectively download case information - for example to exclude completed matters. 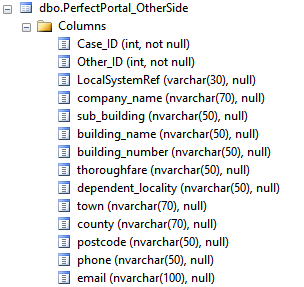 The function is called fn_PerfectPortalDownloadCase, simply modify the SQL within this function to return 0(zero) if the case information is not to be downloaded. By default all cases will be downloaded and the following tables will be populated or refreshed (if already downloaded). 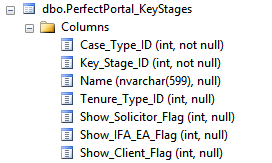 This method uploads the local case key stages for live matters to the Perfect Portal system. 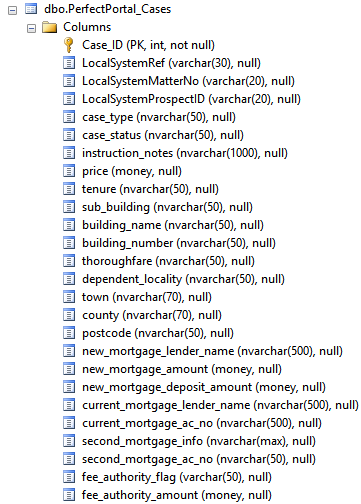 Local Link fields are inbuilt that can be populated to link to local database records. 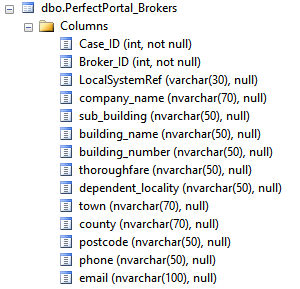 Depending on your Case Management system, stored procedures and triggers can be deployed to link the data to existing records, or to use the Perfect Portal data to create new records. We have achieved this already for multiple clients with the case management system Partner for Windows provided by Tikit PLC. 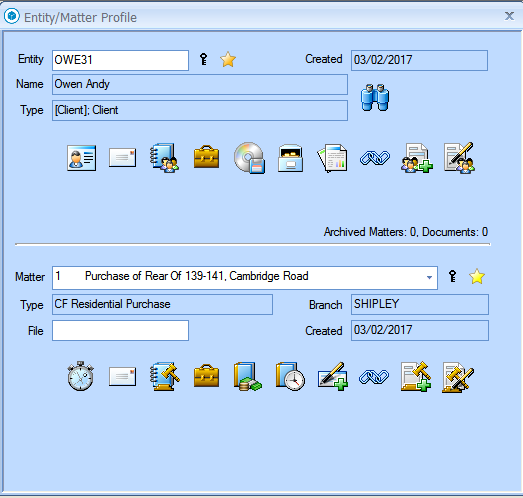 Property address details, agent and broker details can also be integrated into into the new matter, as you need, this will require bespoke work tailored to your existing Partner conveyancing property details and financial information screens. Lean Software Ltd can help you achieve this on a consultancy basis. The base module command line utility software is currently licenced on an annual basis @£750+vat per year. In return for your licence fee Lean Software are committed to keeping the module release versions in line with Perfect Portal system and distributing to Partner for windows clients. · Development and prompt delivery / notification / installation (if required) of all new versions as will be required when Perfect Portal release new versions of their service. Richard Briggs of Lean Software Ltd is a highly experienced Microsoft Certified software developer and Partner for Windows Tikit software specialist. Richard's consultancy / software development is provided @560+vat per 8hr day. Typically a standard installation will require one day remote consultancy/installation, then up to four days of bespoke work to integrate with your Partner screens and import Matter contacts, for example. Consultancy can include specialist integration and other system work you require. Please contact us (support@leansoftware.net) or PerfectPortal.co.uk for more information.